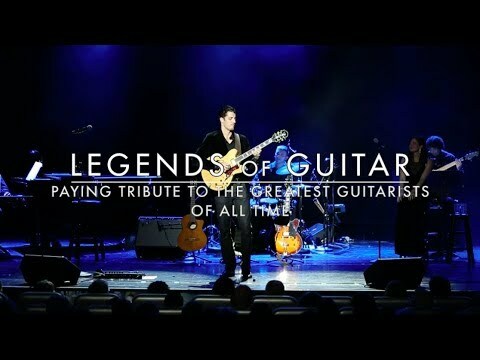 Legends of Guitaris a tribute to the great guitarists of the 20th century, including Eric Clapton, Carlos Santana, George Benson, The Eagles, Prince, Chuck Berry, and many more. Virtuoso guitarist Matt Wolfe and vocalist Lainie Munro perform the greatest guitar music of all time, celebrating the guitar across all genres, from rock and jazz to blues and pop. This show uses a five piece band- guitar, vocals, piano, bass, and drums. Their New York jazz-cabaret show Songbookpresents them in a quartet setting, exploring new interpretations of American classics. The duo bring together their experiences working in the worlds of jazz, theater, and pop to present unique and beautiful arrangements of beloved standards and contemporary songs, from the likes of Rodgers & Hart, Henry Mancini, Burt Bacharach, Stevie Wonder, and many more. This show can be performed as a quartet, trio, or guitar/ vocal duet. Lainie Munro is a New York-based vocalist and actor, and was in the First National Tour of the Cameron Mackintosh/National Theater of Great Britain production of My Fair Lady, touring 26 cities throughout the United States, including the Kennedy Center in Washington, D.C.. Her regional roles include Velma in Chicago, Helene in Sweet Charity, Kristine in A Chorus Line, and Phyllis in the European tour of 42nd Street. Most recently she played Nancy in "Nuclear Follies" Off-Broadway at the Theater at St. Johns in NYC, and was a guest entertainer onboard the Seabourn Odyssey, where she performed "Legends of Guitar" with guitarist Matt Wolfe. Lainie holds a B.F.A. In Music Theater from Florida State University.